Author: Myron, Vicki Set In . . . Description: The heartwarming and inspiring #1 New York Times bestseller that has sold over 1.2 million copies! Dewey's story starts in the worst possible way. Only a few weeks old, on the coldest night of the year, he was stuffed into the returned book slot at the Spencer Public Library. He was found the next morning by library director Vicki Myron, a single mother who had survived the loss of her family farm, a breast cancer scare, and an alcoholic husband. 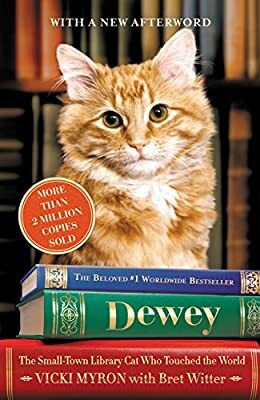 Dewey won her heart, and the hearts of the staff, by pulling himself up and hobbling on frostbitten feet to nudge each of them in a gesture of thanks and love. For the next nineteen years, he never stopped charming the people of Spencer with his enthusiasm, warmth, humility (for a cat), and, above all, his sixth sense about who needed him most.